Authorities in the central Israeli city of Rehovot have opened an investigation into a recent series of attacks on Hasidic Jews outside of a local synagogue. Members of the Kretshnif Hasidic movement in Rehovot say have been targeted in recent weeks by unknown assailants who hurl frozen eggs at the Hasidim during the Sabbath. Every Saturday for the past month, locals say, the same grey Hyundai drives past the local Kretshnif synagogue while men from the Kretshnif men are inside praying or meeting with the Rebbe. 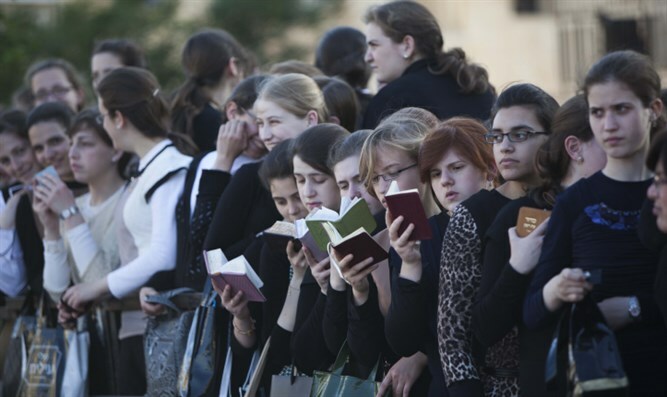 As the car passes by, eggs – often times frozen eggs – are hurled at the Kretshnif women and girls as they stroll around outside of the synagogue. “It’s a terrifying sight,” one witness told Kikar Hashabbat. Since the attacks occur during the Sabbath, the Hasidim are unable to report the incidents to police in real time, making it more difficult to locate and apprehend the perpetrators. During the two-day Rosh Hashanah festival this week, Kretshnif Hasidim say the attacks took place multiple times. A member of the Kretshnif Hasidic movement filed a formal complaint with police, who have opened an investigation into the attacks.